Solutions for offset disc dampers, 3-lever valves - Bachmann Dampjoint Inc. 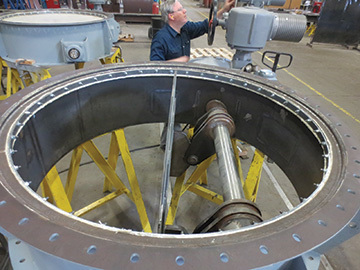 The seating surface, being uninterrupted for the full 360 degrees around the inside perimeter, provides a full contact area for the blade to seal against, whereas the shafts of a butterfly damper are always a source of leakage due to the discontinuity of the seal at the shaft penetration points. 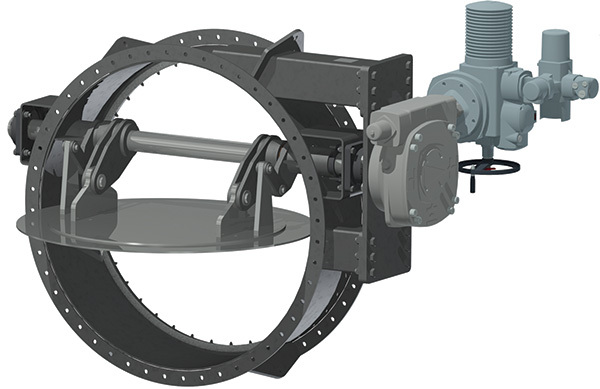 Due to the lever drive arrangement, torque requirements can be very high for this type of damper. 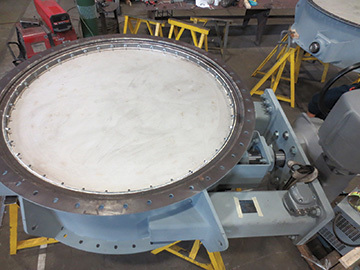 The blade, shaft and lever assembly is therefore designed to accommodate the very large actuators needed to achieve the extremely tight seal these dampers are capable of.